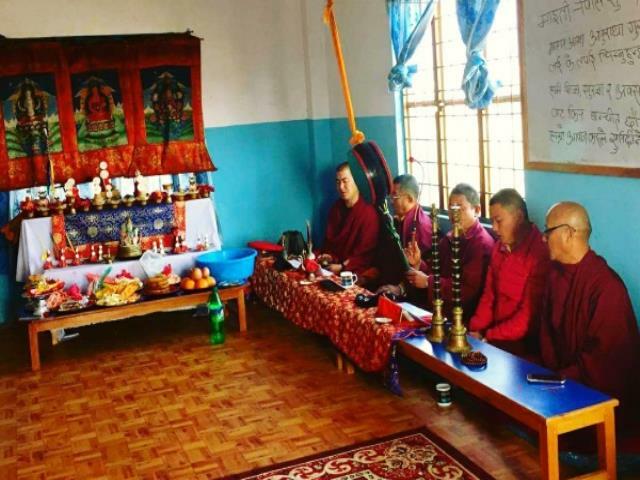 We had a blessing/cleansing ritual (Puja) today, by very respected High Monk Palten Pals Ten & his team from Jangchub Choeling Monastery at our preschool in Nepal, for prosperity of all our Meaningful Volunteer Family, School For Andy Family & all our kind supporters. Thank you High Lama for giving us your precious time! Check out pictures from the ceremony below.